Out of stock since Thursday, 21 February 2019. Due back soon. 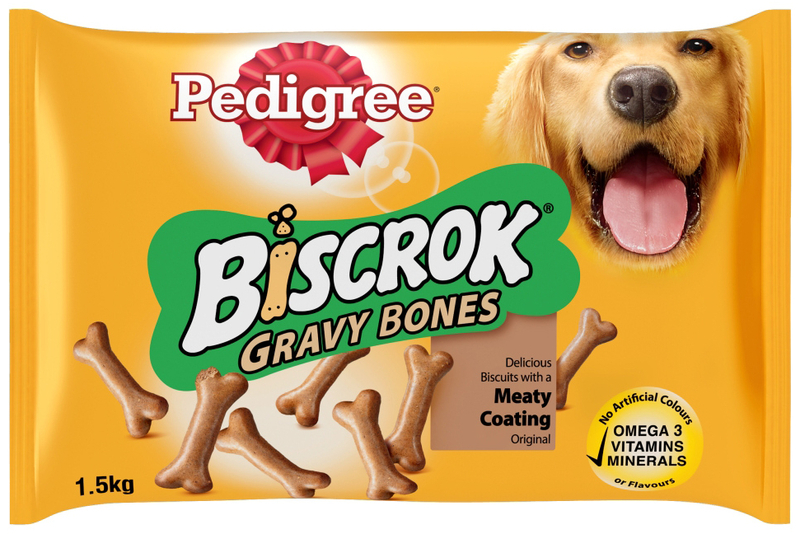 Pedigree Gravy Bones are a tasty crunchy treat with a delicious meat coating to make them taste out of this world. 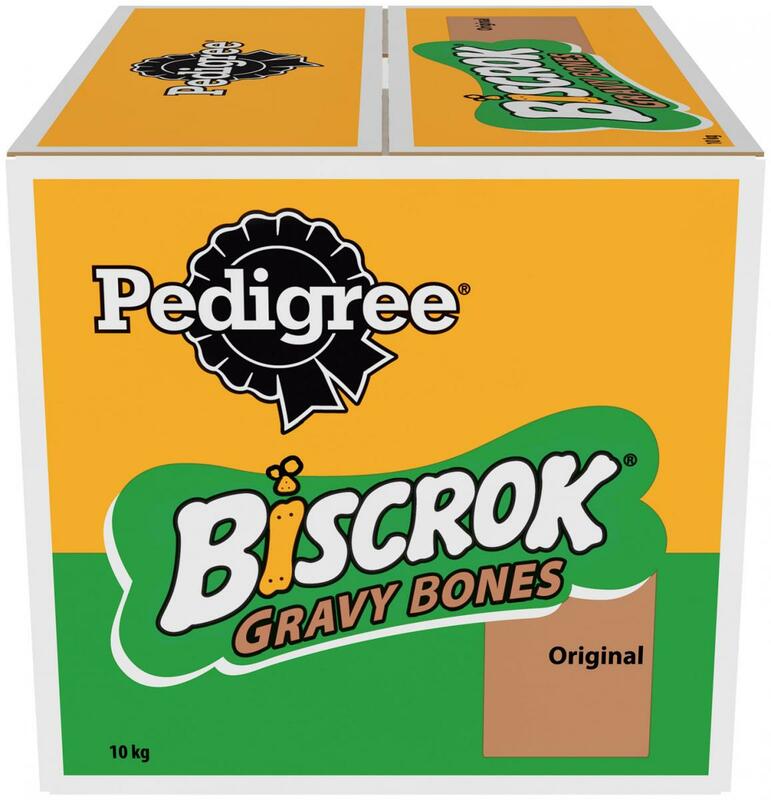 They also contain added nutrition which keeps your dog happy and healthy. 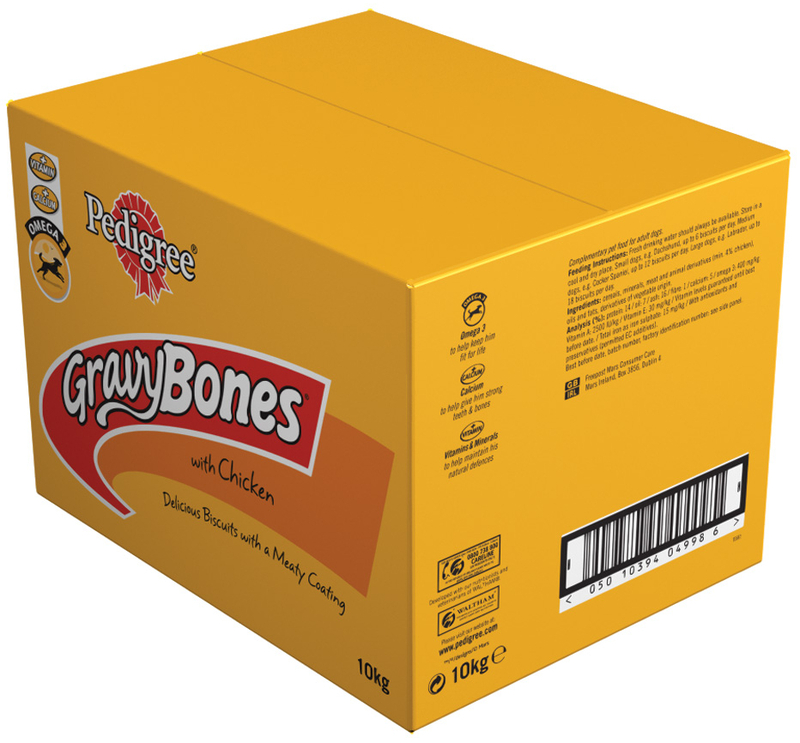 Each bone contains calcium to support their dental health and strong bones, while the extra vitamins have been added to support general health and vitality. Cereals, Minerals, Meat and Animal Derivatives (min 4% Chicken), Derivatives of Vegetable Origin, Oils and Fats. Cereals, Meat and Animal Derivatives, Derivatives of Vegetable Origin, Minerals, Oils and Fats, Seeds, Herbs. 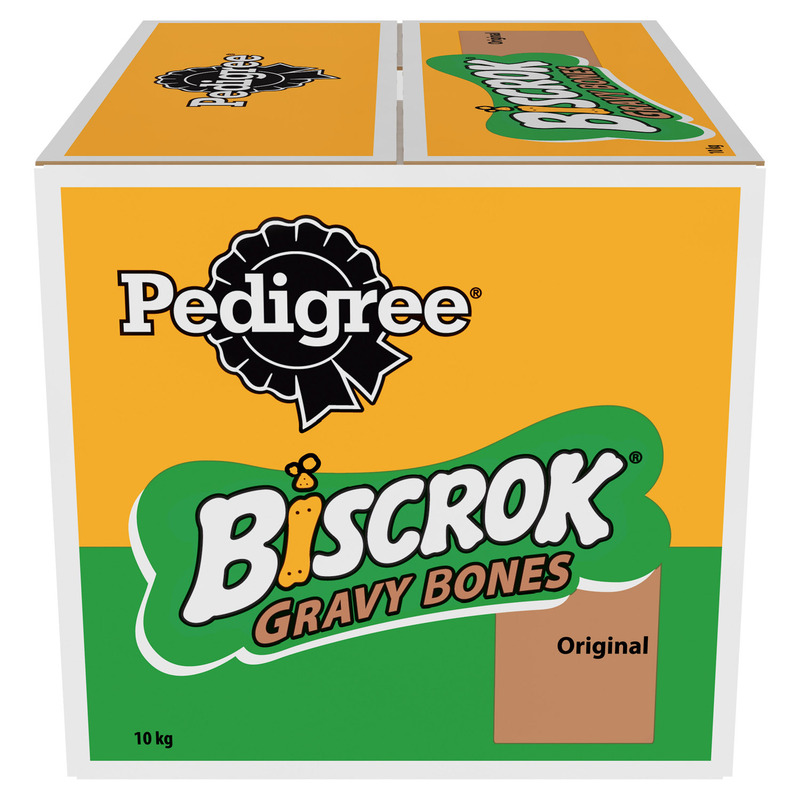 There are currently no questions for Pedigree Gravy Bones Dog Treats - be the first to ask one!